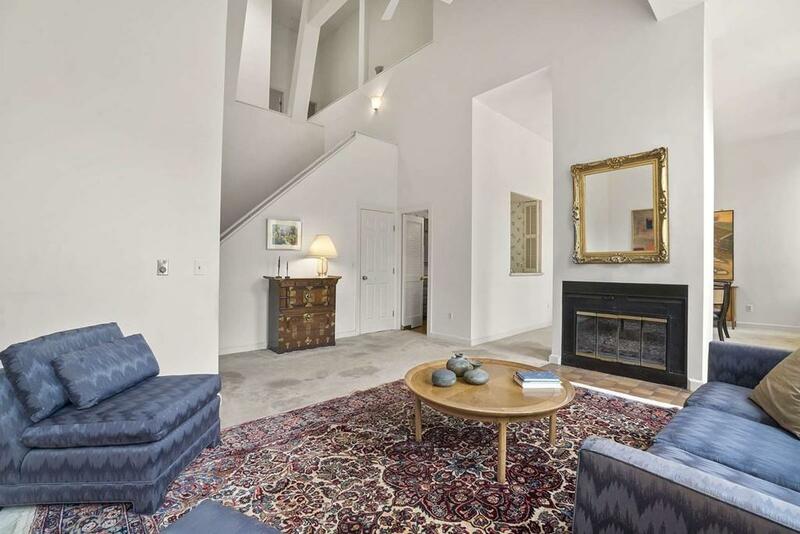 Unique loft-style duplex featuring 2 Bedrooms, 2 Bathrooms, 26 & 12 foot soaring ceilings, skylights, open stair, fireplace, 2 garage spaces &. in-unit laundry with storage. 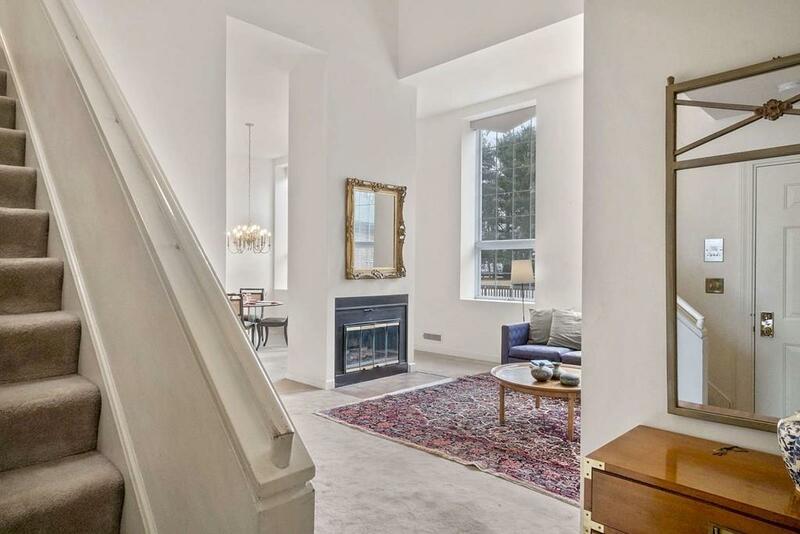 The South facing oversized 7 Foot windows provide an abundance of natural light and views of the manicured English garden & pebbled terrace with seasonal seating areas. The unit is well loved by the original owner but needs polishing & is being offered for sale "as is. 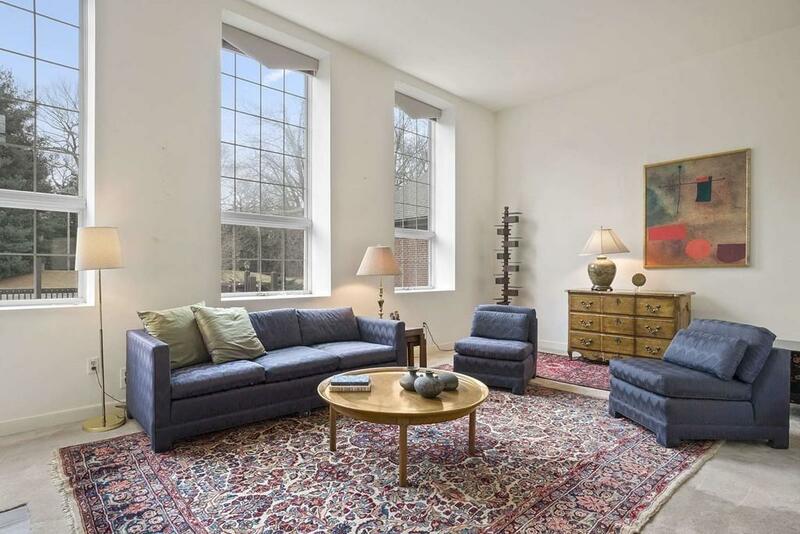 Located in The Kingsbury Condominiums, a converted 1930s brick school building, nestled on 4 acres of private grounds in the Country Club, area this rare offering is a short walk to the Brook Path, Shops, Restaurants, Town & TrainCreate a fabulous home! Express yourself! And,enjoy living "outside the box! $849,000. 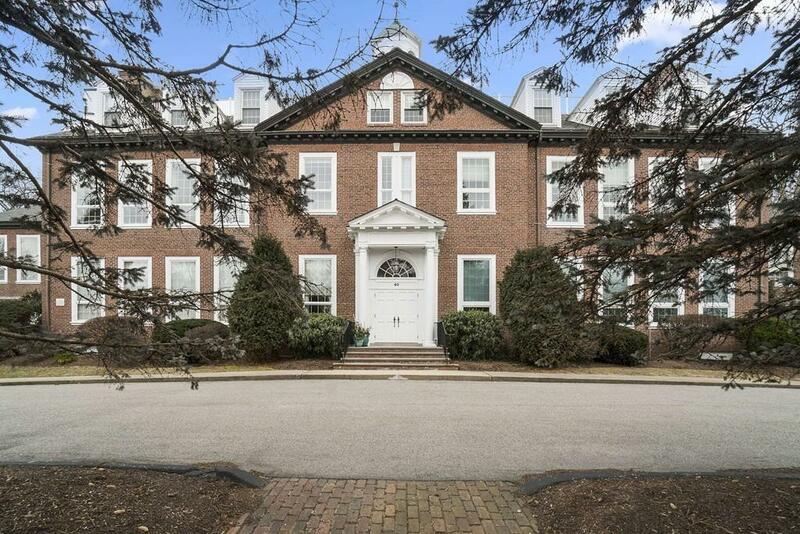 Listing courtesy of Kerry Sullivan of William Raveis R.E. & Home Services. Disclosures Unit Being Sold "As is". Listing provided courtesy of Kerry Sullivan of William Raveis R.E. & Home Services.